Universal Curb System: Why make the roof penetration during initial construction? 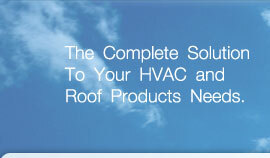 Maintain roof integrity by performing the roof penetrations during initial construction. Correct placement of equipment support joists and only where required. Eliminate the requirement for miscellaneous angle around roof penetrations by utilizing the base curb mounting. Insure the adequate insulation is installed, therefore maintaining design conditions and eliminating condensation problems. Provide a level mounting for rooftop while maintaining the minimum height as specified above finished roof. Roofer is required only during initial construction to flash and seal the base curb. Excessive tenant charges due to the requirements to utilize the original roofer on all curb cuts is eliminated. A better roof... at less cost!